5th March, 2019; Dubai, UAE: In yet another outstanding achievement, UAE’s British Orchard Nursery, has won two coveted awards within two days, cementing its position as the leader in Early Years education. The largest preschool chain in the UAE was first acknowledged for its business acumen at Mohammad Bin Rashid Al Maktoum (MRM) Business Awards where it won the Business Excellence Award in the ME region, and then recognised for its modern and novel approach to Early Years education at the UAE Innovation Awards by Dubai Quality Group a day later. The British Orchard Nursery is the only educational institution to have won these prestigious awards ever; this is the second time that the preschool has been the recipient of both the titles. Commenting on the momentous occasion, Dr Vandana Gandhi, CEO and Founder of British Orchard Nursery, said: “I would like to thank the UAE leaders, HH Sheikh Mohammed bin Rashid Al Maktoum, Sheikh Ahmed bin Saeed Al Maktoum, the officials of Dubai Chamber of Commerce and Industry and Dubai Quality Group who have honoured us with these awards. To win two back-to-back awards is indeed a proud moment for British Orchard Nursery and reflects our commitment to excellence and innovation in education. We, as a team, believe in giving our best both in quality and practice while continuously raising the standard of Early Years education in the UAE. The Mohammed Bin Rashid Al Maktoum Business Award is aimed at cultivating a world-class business culture in the region, creating a high level competitive business environment that fosters trade, business development, and job creation. The award is the highest level of recognition of business excellence that an organization can achieve in the region. 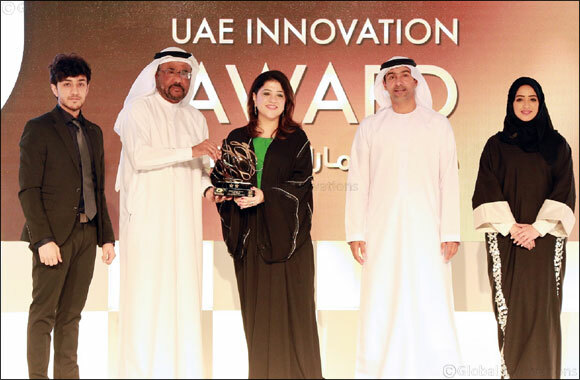 The UAE Innovation Award aims to support UAE National Innovation Strategy and promote innovation culture throughout private sector organizations in the UAE while raising the level of innovative practices based on the award framework and standards.